Anyone familiar with Jay Z’s career knows that the rapper’s early days as a drug dealer in New York loom large in his lyrics. Over and over again, his songs revisit his personal Horatio Alger story, explaining how he started as a soldier in the drug war before he became a multimillionaire entertainer and entrepreneur. Jay Z’s music may have been his ticket out of a life of poverty and crime, but his hardscrabble origins have never left him. This becomes clear in “The War On Drugs Is An Epic Fail,” Jay Z’s insightful New York Times editorial about the shortcomings and inconsistencies of the American government’s anti-narcotics tendencies. 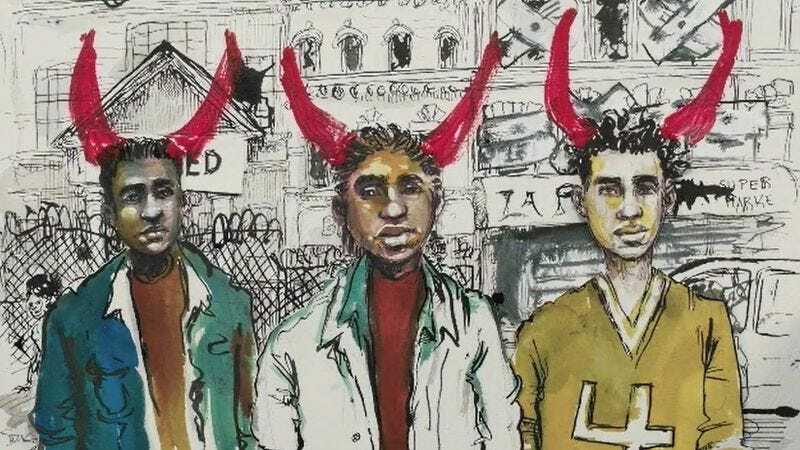 With the aid of New York-based artist Molly Crabapple, and directors Jim Batt and Kim Boekbinder, the rapper’s self-delivered four-minute monologue has been transformed into an animated short film that is both thought provoking and visually arresting. These are themes that Jay Z has been addressing in his music for decades, but age and experience have given him deeper understanding of the larger forces at work here. While the rapper’s songs tend to be personal and autobiographical, this editorial takes a look at the big picture. As Jay Z sees it, the American government’s war on drugs began in 1971 under President Richard M. Nixon. The war’s objective was allegedly to reduce drug use among the country’s citizens. By that particular yardstick, the war has accomplished virtually nothing: Americans use drugs as much now as they did then. So what has changed in the ensuing 45 years? Mostly, America’s prison population has exploded due to drug arrests. We lead the world in incarceration, outpacing such “autocratic and repressive” countries as China and Russia. According to the editorial, America has turned drug dealers into “monsters” so that they can be blamed for all the problems of America’s cities, even though the real problems are economic.